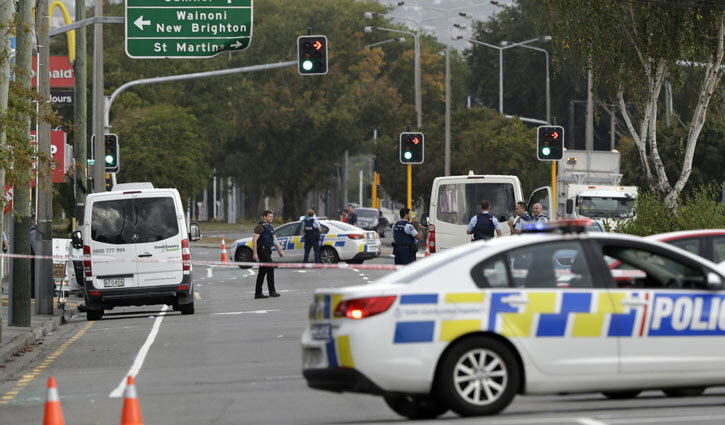 Staff Correspondent: Foreign Affairs Minister Dr AK Abdul Momen has said the death toll of Bangladeshi nationals could rise from 4 to 8 in New Zealand mosque shooting. Abdul Momen said this while addressing a seminar titled ‘Bangabandhu in International Arena’ organized by Bangladesh Study Trust at National Press Club in the capital on Sunday. “Foreign missions cannot provide information without hundred percent confirmation. That’s why it’s taking time to disclose the number of victims,” he added. State Minister for Health and Family Welfare Dr Murad Hasan MP, Prof Dr Kamrul Hasan Khan, Former Vice-Chancellor of Bangabandhu Sheikh Mujib Medical University, Sampriti Bangladesh convener and cultural personality Pijush Bandyopadhyay and others spoke in the function.